This is the moment you (and I) have been waiting for! The Genius Bloggers Toolkit 2018 is LIVE – and it is so amazingly awesome! I am over the moon excited about this year's toolkit – which is why I am writing this post to tell you that it is now available for purchase. Just CLICK HERE! There is also an early bird bonus that you get if you buy during the first two days of the sale – a 2-month UNLIMITED subscription to Stencil App (which is the app that I use to create 90% of my blog post images and Pinterest images – it is really easy to use). So, please allow me to gush all about the Genius Bloggers Toolkit because I can't stop talking about it. What Is In the Genius Bloggers Toolkit 2018 Bundle? 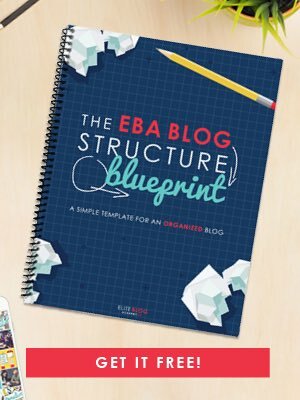 You've probably heard me talk about this toolkit which is actually a huge collection of blogging courses, ebooks, and resources from some really big blogging experts in the industry. If you had to purchase all of these course individually, it would cost you well over $5000! But for a limited time you can get all of this blogging goodness for only $97. I know you can't believe it – and neither can I. Irresistible Email: The Art of Attracting, Captivating, and Nurturing Your Tribe of Raving Fans by Ruth Soukup – a $297.00 valueThe Irresistible Email Course shows you how to use content marketing to both grow and nurture an email list in order to create a tribe of raving fans. Holiday Blogger Bootcamp: Maximize Your Earnings for Every Holiday & All Year by Caroline Vencil a $47.00 valueIf you're sick of spinning your wheels and you want to make the most money from this holiday season and from all holidays in the future, then this is exactly what you need! How to Create Your Own Printables by Laura Smith a $97.00 valueJust give Laura one hour – and she'll show the secrets she's used to create loads of printable downloads that grew her blog into a six figure business. The reason that these are my favorites is that I have taken all three of them, two of which I bought separately and one came with a different bundle – and they all have been very helpful. The value of these 3 courses alone are way more than the cost of the entire Genius Bloggers Toolkit – which is why I love it and buy it every year. You might be wondering how I find the time to go through all of the included courses. Well, the answer is – I don't. I use the toolkit to create a massive reference library on blogging. And whenever I need a resource or a little help in a certain area throughout the year, I find that I have a course at my fingertips that can help me out. This year I am planning to work more with brands so, at a minimum, I plan to go through the How To Work With Brands (& Make Money) course by Jessica Festa (a $249.00 value) and I'm also excited to take the Email Growth & Marketing Bootcamp ( a $247 value) by Jennifer Roskamp who is a blogger that I really admire. Both of these courses are in the 2018 Genius Bloggers Toolkit. I know I have gone on quite a bit here – but I have to mention one more thing that maybe you have experienced – I've seen it called blogger's remorse. It's that sinking feeling when you buy a course and find out that it is not what it was cracked up to be. Don't you hate it when you've spent hundreds of dollars on a blogging course only to find the content to be ho hum. I just did that a few months ago and am still kicking myself. Well, with the Genius Bloggers Toolkit, you avoid that awful feeling altogether. You may not love every course in the toolkit – but for every course that doesn't resonate with you, there are probably two that do. So you come out ahead. Ok – enough, enough, enough. My suggestion – go HERE and check it out for yourself. See the full list of what's included and if you have any questions feel free to email me or the folks at Ultimate Bundles. But remember, the Genius Bloggers Toolkit is only available for a short time – today through Monday October 15, 2018. Also, if you want to grab that early bird Stencil bonus then buy your bundle before midnight tomorrow (October 11, 2018) – don't wait! Can you tell that I love this thing? Pin this post to your favorite board on Pinterest to refer to later. The Genius Bloggers Toolkit is brought to you by the awesome folks at Ultimate Bundles – the best way to learn. « Best of the Weekend Link Up – Submit Your Best Posts!